For the last 8 1/2 years, my husband and I have been unable to get pregnant. In 2010, we adopted a beautiful baby girl (who is biologically my cousin) and named her Abigail. 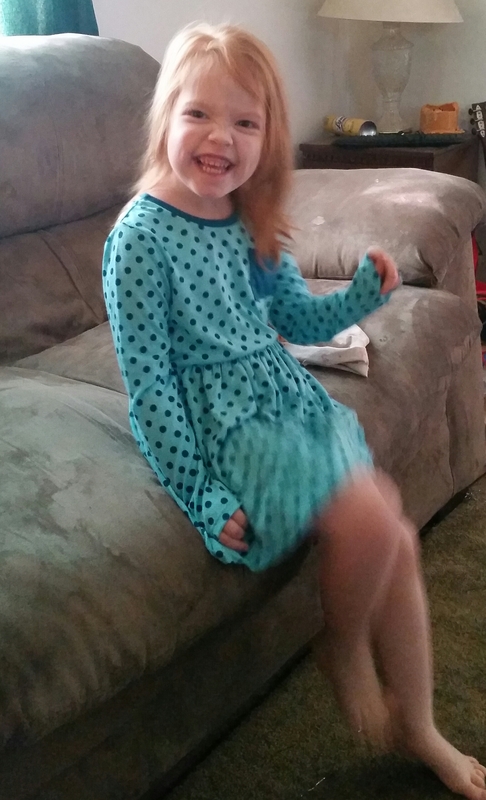 She is now 4 1/2 and has the most amazing personality. We love her just as much as if we’d conceived her ourselves! And although we love our beautiful little girl, we’ve still longed to have another. More than anything in the world, I’ve longed to experience pregnancy and child birth firsthand. When my doctor put me on medication and told me to go low carb, she said there was a possibility that I could get pregnant. But, to be completely honest, I didn’t believe it. I was fully convinced that my time had come and gone, that I would never be able to bear a child. And my husband was convinced of this too. Neither of us could have imagined what was about to happen. After being low carb and on medication for 4 months and losing 40 pounds, I had an appointment with my doctor on January 14th. When I told her about the abdominal pain I’d been having and that I’d stopped having a period, she asked if I was pregnant. Of course, I said no, but she told me to go ahead and take a test just in case. So, the next day, I took a test…then another one…then another one. All positive. I was absolutely floored. I called and set up an appointment with an OB right away! I had to know if this was real! Sure enough, she confirmed it, then scheduled an ultrasound for today–January 22. 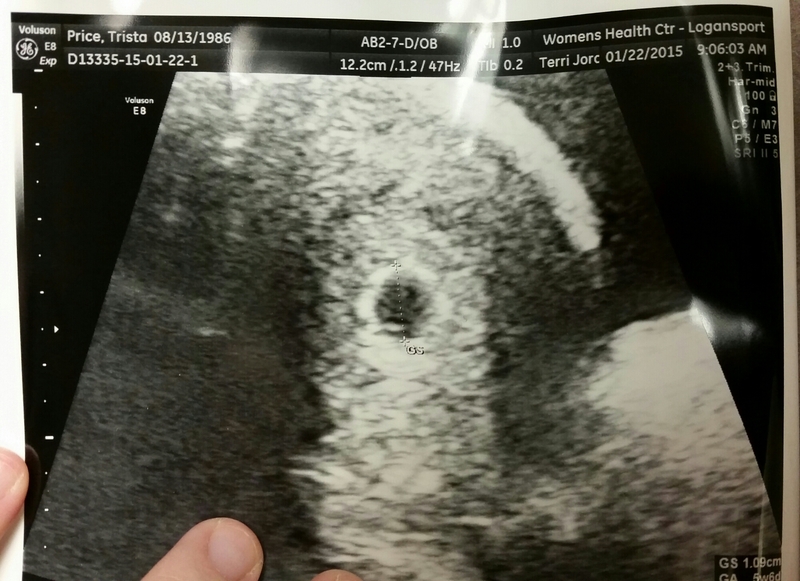 So, today, I found out that I am right around 6 weeks along and she scheduled another ultrasound 2 weeks from now when we’ll actually be able to see the baby. Disclaimer: I am aware that there are women who weigh more than I did at my biggest and feel confident and are healthy. It is not my intention to make those women feel badly about themselves or tell them they need to change. But it is my desire to inspire those who do want to lose weight. I’ve been there. I am there now. And if me bearing my soul can help just one woman, I will do it. Several years ago (I believe it was just after Kevin and I got married), when I really started gaining weight, I used to tell Kevin that if I ever got over 200 pounds, he should just put me out of my misery. I was kidding of course, but when I did actually hit that 200 mark, I was devastated. I remember getting on the scale and crying my eyes out when it read: 203, and from there on out, I avoided scales like the plague! I remember crying in the dressing room as I kept going up another pant size, then another, then another. Crying when I would see old pictures of my thinner, and what I considered to be prettier self, fearing I could never get there again. Crying because I didn’t even want my own husband to see how big I’d gotten. 4 months ago, I cried when the nurse left the room after weighing me in at my biggest, 250 pounds. I hadn’t weighed myself since I was 235 and I couldn’t believe I’d let my 5’6 frame get to that. So, that day, when my doctor told me I needed to go low carb, I wasn’t happy. (Give up my pasta and soda? No way, lady!) But I knew she was right. Well, today, I got on the scale and weighed in at 208. I’m so close to One-derland, I can taste it! 🙂 I no longer crave the horrible things I used to consume on a daily basis. If you would have told the dew-guzzling, pasta-loving version of me that I would be starting 2015 almost 50 pounds lighter, I probably would have laughed in your face. But so much has changed since then, and I am so grateful! 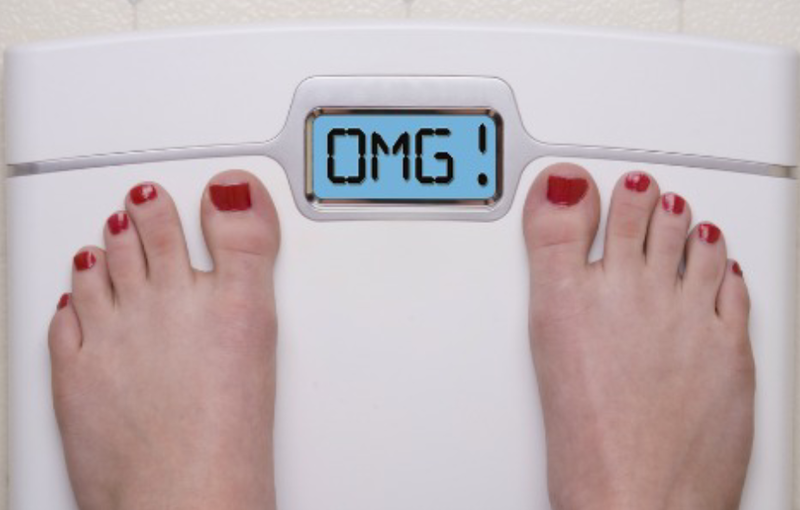 Now, I celebrate when I get on the scale and see that I’ve lost another pound or two. I cry tears of joy when I try on jeans that are 2 sizes smaller and they fit! I get downright giddy when my husband wraps his arms around me and tells me my waist feels smaller. 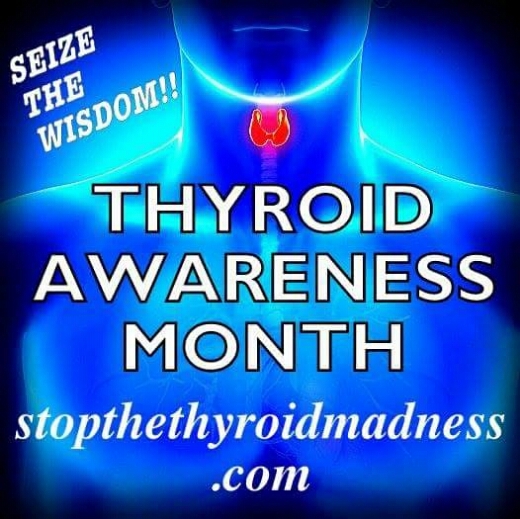 Thyroid Awareness Month–Check Your Neck! January is Thyroid Awareness Month. The thyroid gland is located in the neck and controls how quickly the body uses energy, makes proteins, and controls how sensitive the body is to other hormones. It participates in these processes by producing thyroid hormones, the principal ones being triiodothyronine (T3) and thyroxine (sometimes referred to as tetraiodothyronine (T4)). These hormones regulate the growth and rate of function of many other systems in the body. As someone with hypothyroidism/hashimoto’s (an underactive thyroid), I am fully aware of the effects this has on someone’s life. Weight gain, fatigue, aches and pains, swelling, brain fog, depression, mood swings, etc…I allowed these things to consume me before finally seeking treatment. I was miserable, to say the least. But after finding the right doctor, getting on meds (I take 32.5mg of Naturethroid twice daily), and starting a low carb diet, I am finally starting to feel normal again. I’ve lost almost 40 pounds, I have more energy, and I have less aches and pains, for sure. Not to mention, I’ve stopped having constant headaches and the depression is now a memory. Do you have a New Year’s resolution? I know a lot of people don’t do them anymore for fear of failing, but I still do one every year. It’s never anything super huge, like losing 100 pounds or going skydiving. It’s usually something small, like spending more quality time with my family, praying more, or spending less time on my smartphone. For me, these are the things I can live up to! Like many people, my husband has never been a resolution maker. In fact, I’m pretty sure he’s teased me about mine before. 😉 But, last night, he totally surprised me when he said “I’ve decided what my New Year’s resolution is”. Teasingly, I asked “You’re gonna go low carb with me?” And, to my delight, he said yes!!! Friends, I am ecstatic! I can’t wait for my awesome hubby to start reaping the benefits of an LCHF lifestyle! He said that seeing the changes I’ve made has inspired him. He knows I’ve done my research and he trusts me to lead him in this. It truly made my heart swell, knowing that I have inspired my hubby to make such a positive change in his life. Now, my husband isn’t super overweight or anything. He’s got a little extra fluff on him like anyone else, but he is excited to start losing the extra weight and I am excited for him. Not to mention, it will make things a lot easier for me in the sense of shopping and we won’t have anymore temptations in the house! Woot! So, do you have a New Year’s resolution? 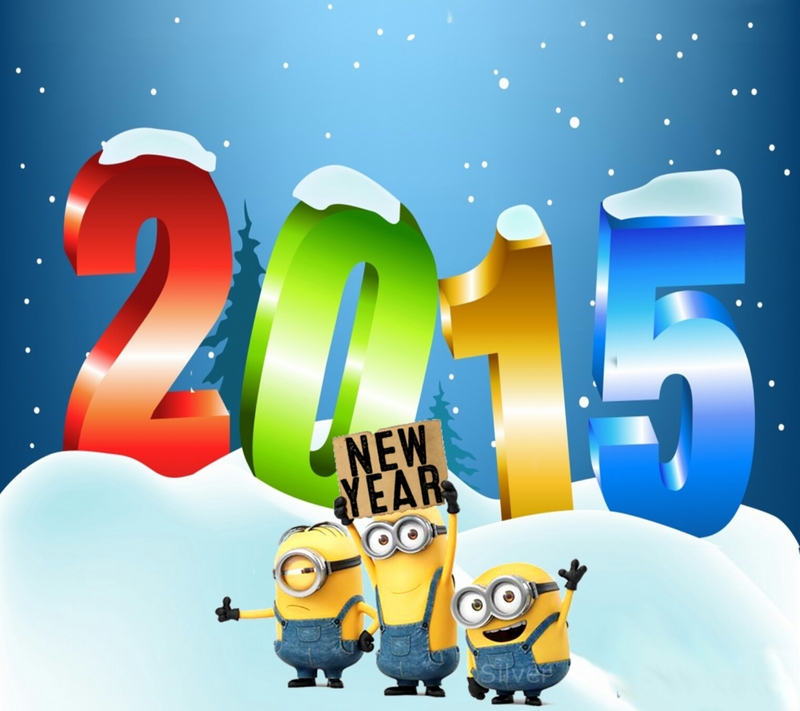 Will you be low carb in 2015 or do you have something different in mind? Whatever it is, do it with gusto and stick to it! You can do it!